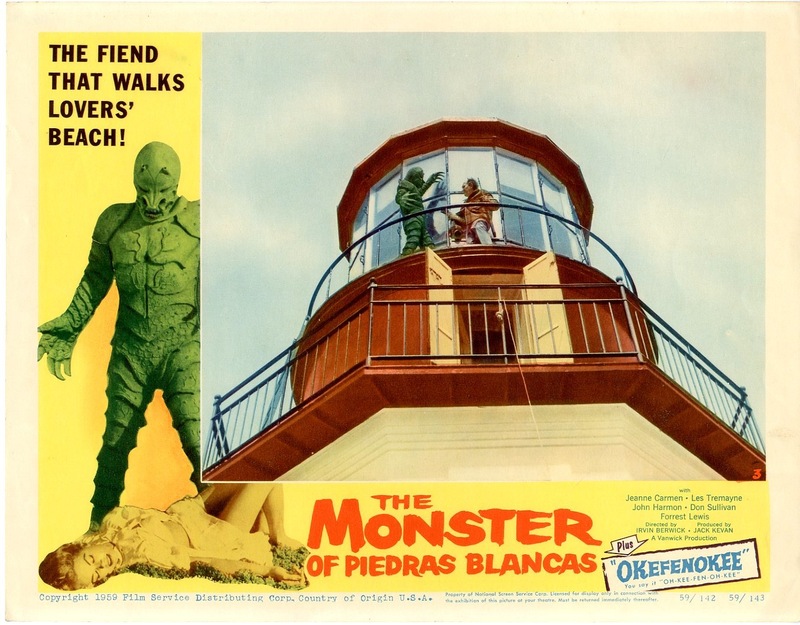 The monster, which looks like a nastier version of “The Creature from the Black Lagoon,” invades a sleepy lighthouse town. The superstitious lighthouse keeper is worried for the safety of his beautiful teenage daughter, so he leaves food for the monster, which dwells in a nearby cave. When bodies wash up ashore, the locals take notice. 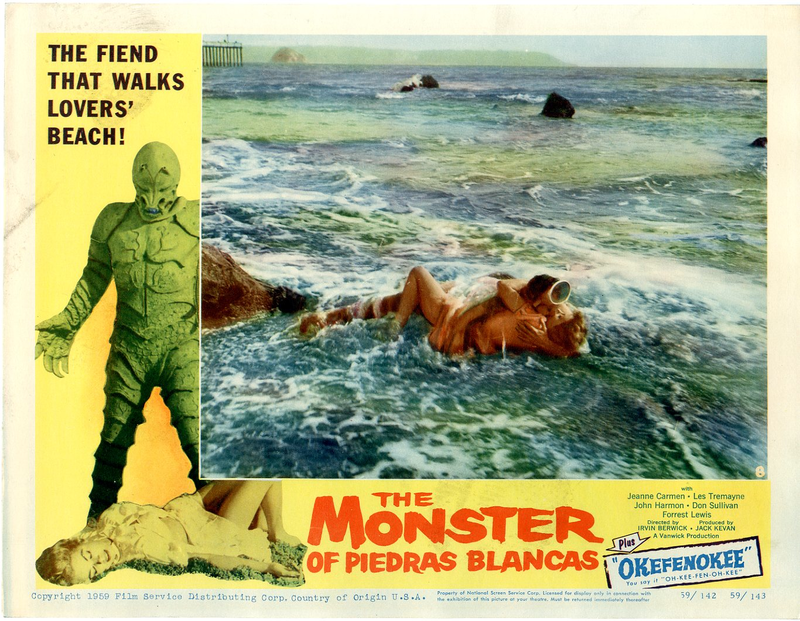 A b movie monster classic from the height of the genre.